Sales of DAB radios have surpassed the five million mark in the UK. That's according to the Digital Radio Development Bureau (DRDB). The DRDB said five million digital radio sales equates to around ten million listeners tuning in to DAB (digital audio broadcasting) around the UK. It also confirmed that 19.5 per cent of the adult population are now living in a "DAB household". The DRDB said independent research has shown that while consumers were buying products to receive broadcast TV (i.e. Freeview boxes, Sky etc), "they are actually using the DAB digital radio more". In fact, studies show that 38 per cent of users are listening to DAB radio daily. "Radio has evolved," says DRDB CEO Ian Dickens. "I have seen DAB digital radio grow from around 135,000 units sold to over five million." Dickens adds that DAB radio has also grown "from 19 products in 2002 to over 300 today; from an entry level price of £99 to £29 today; from 600 independent retailers to over 8,500 outlets including the key mass merchandisers in 2007." From a listening base of practically zero, says Dickens, DAB is now firmly established. 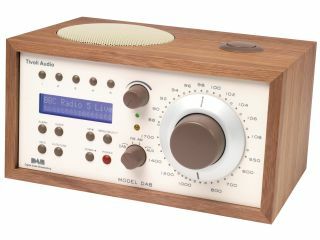 DAB broadcasts are currently available to one in five of the UK's adult population. For more information about digital radio in the UK, including coverage and ways to listen, have a look at the BBC's Digital Radio index .